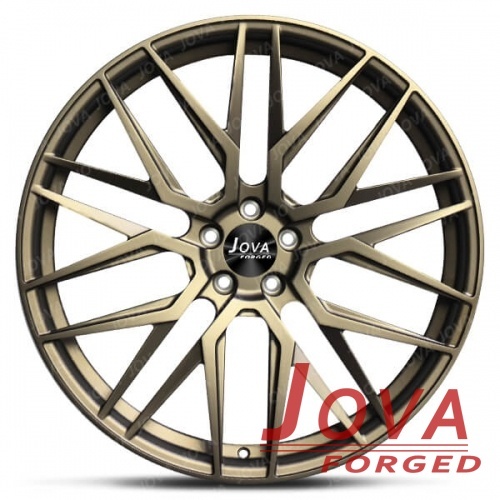 This bronze color rims are monoblock forged wheels, all matte bronze paint, size 22x10j, 5 staggered spoke, 5 hole. we can custom made staggered rims at 17 18 19 20 21 22 22 inch. Wholesale & custom made bronze wheels, Welcome to visit our forged factory at Guangzhou, China. Color: matte bronze, We can offer more than 36 kinds of all one color paint and 100+ kinds colored paint. 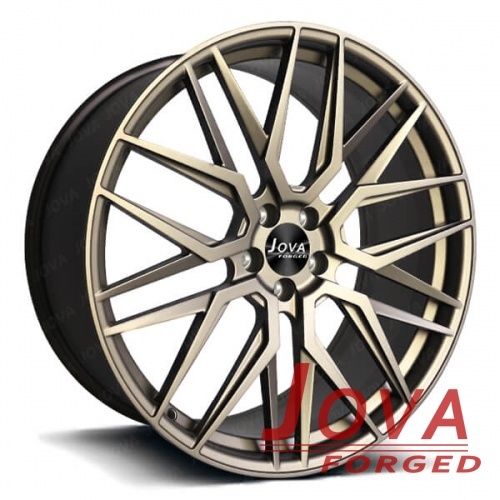 Free quote for bronze color rims, Please contact us by mobile/whatsapp: +86 18819367688, email at jova@jovawheels.com.